Expo Veneto: Living the Dolomites, a UNESCO World Heritage site. Event > Living the Dolomites, a UNESCO World Heritage site. LIVING THE DOLOMITES, A UNESCO WORLD HERITAGE SITE. Discover the spectacular nature, the geological uniqueness, the traditional cuisine and the history of the Dolomites: from the Tre Cime (the Three Peaks) to a true 'zero miles' food. Living the Dolomites, a UNESCO World Heritage site. Discover the spectacular nature, the geological uniqueness, the traditional cuisine and the history of the Dolomites: from the Tre Cime (the Three Peaks) to the summer residence of the Popes, from Misurina's clean air to dinosaur footprints, from the Somadida Forest all the way to the tragedy that was the Great War. The Dolomites are certainly to be looked at and to be admired for their spectacular and absolutely unique shapes, but to fully understand the reasons that led UNESCO to recognize these mountains as heritage of all humanity it is necessary to live and experience them in their historical and cultural contexts, to touch them with one's hand and connect with the men who inhabit and are shaping them. The itinerary unwinds through some of the most beautiful places of the Dolomites, from the Tre Cime di Lavaredo to Misurina, also known as 'The Pearl of the Dolomites'. We will be surrounded by extensive forests of evergreen conifers, a true lung for our planet: this is why these forests are protected by the Somadida Conservation Area. We will find a "library in the woods"; we will learn the techniques of mountain cheese making; we will allow ourselves to be led to the origins of life by following the footprints of the first inhabitants of the Earth and our lungs will be breathing the cleanest air in Europe. During the tour we will visit a very unique farm where old military barracks have been converted into stables and premises in which to produce and manifacture a variety of cheeses and meats; with this conversion also came the restoration of large hectares of overgrown land into pastureland. We will then stop to sample the produce in the nearby farmhouse: a true 'zero miles' food offer that focuses on sustainability and environmental regeneration. At a higher altitude we will touch the carbonate rock made famous by the French geologist Dolomieu, and we will be able to observe the 'enrosadira', a natural phenomenon which is typical of the area: at sunset the peaks of the Dolomites become red with a fire-like glow. Further downstream, on the shores of Lake Misurina, we will be told the secrets of clean air by the doctors of one of the only two institutes in Europe for the treatment and rehabilitation of children with respiratory diseases. Monte Piana will provide us with a particularly poignant moment. This area, which was the scene of one of the bloodiest and most brutal wars in history, is now a symbol of peace and cultural bridge building. It is also the place where youth from all over the world come and meet, eager to offer a new way to enjoy being in the mountains. The positive energy of the Dolomites has been particularly felt by Pope John Paul II and Pope Benedict XVI: we will be able to visit their summer residence in Lorenzago and walk the paths which inspired their thoughts. All this in the beautiful setting of the Dolomites UNESCO World Heritage Site. The basic itinerary is structured to last four days, to allow for a comfortable arrival and a leisurely departure from the Dolomites. This does not mean that we can't shorten or expand the basic itinerary according to the demands of the clients: the itinerary is customizable, as programs for individuals, small groups or large groups can be drawn up. The representative body for the organization of activities is the Consorzio Turistico Auronzo Misurina (the Tourist Consortium of Auronzo and Misurina), who will work with a combination of different options to develop the itinerary that is most suited to each type of visitor. The final program with dates, times and logistical information on reception, hospitality and transport will be sent directly to the applicant and/or the contact person as listed by the group. 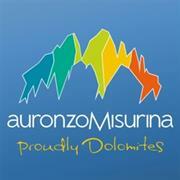 The Auronzo Misurina Tourist Consortium welcomes you to the town of the Tre Cime di Lavaredo in the heart of the Dolomites. We have focused on creating tourist promotion activities since 1989 to offer you the greatest possible range of free time activities.Tradition, art, sport, culture and flavours are always in harmony here in total respect for the area and its environment. We have focused on creating tourist promotion activities since 1989 to offer you the greatest possible range of free time activities. Tradition, art, sport, culture and flavours are always in harmony here in total respect for the area and its environment. Auronzo and Misurina are the perfect holiday destination in all seasons for those looking for a stress-free experience. In Auronzo and Misurina you are in a different dimension, both modern and traditional at the same time, and you are certain to find a thrill and a chance to regenerate deep down here. This is the true meaning of holidays!